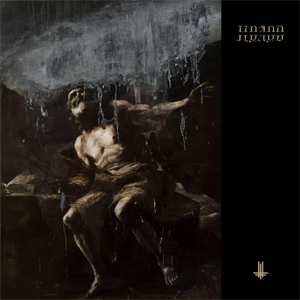 BEHEMOTH Launches Video For New Single, "Bartzabel"
"It doesn't get more blasphemous than this," declares BEHEMOTH mastermind Nergal, about the band's upcoming album, I Loved You At Your Darkest - due out October 5th via Metal Blade Records (North America) / Nuclear Blast (Europe). While it certainly seems an unlikely title for a black metal band, its origin might surprise fans even more than the words themselves. "It's a verse from the Bible," Nergal reveals. "It's actually a quote from Jesus Christ himself. For BEHEMOTH to use it as the basis of our record, it's sacrilege to the extreme." Nergal comments: ""Bartzabel" is a song that came in the midst of a BEHEMOTH rehearsal...We had no structure, no vision - but piece by piece, it came to be, and we were extremely excited by the result. To us, it's the eye of the ILYAYD storm: sonically calmer and slower than anything else on the record, but definitely one of the darkest! Lyrically, we (myself and Krzysztof Azarewicz) were inspired by Aleister Crowley's conjuration of the Spirit of Mars - which the video, by our trusted friends in Grupa 13, depicts beautifully...I may even go as far to say that it's my favourite BEHEMOTH video of all time! I hope you all enjoy it, and we look forward to ILYAYD's launch this Friday!" "If Crucifixion Was Not Enough..."
"We Are the Next 1000 Years"
This October/November, BEHEMOTH will hit the road across North America to headline the "Ecclesia Diabolica America 2018 e.v." tour, featuring special guests AT THE GATES and WOLVES IN THE THRONE ROOM. This must-see show will also make its way to Europe in January/February 2019.